We take enormous pride in everything we do. 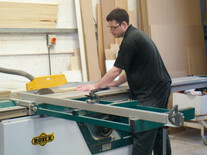 Our traditional cabinet-making methods are of course augmented by modern technology and machinery. We are a highly-motivated and friendly team, totally committed to delivering your dream. Do come and visit us, have a cup of coffee and see for yourself what we can do for you. Talk to us about your ideas and be inspired to work with Furniture & Design for your next bespoke hand-made furniture project. 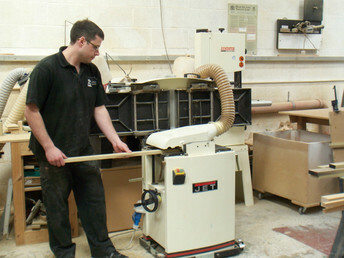 If you would like to visit our workshop or discuss your handmade kitchen, bedroom, bathroom or living space furniture requirements please call us on 01865 370222 or 07779 272811, or alternatively click here to complete our short contact form.